Prominent & Leading Manufacturer from Mumbai, we offer hot air oven, muffle furnace, ultrasonic bath, ultrasonic cleaner( bath), ultrasonic laboratory cleaner ( customize) and ultrasonic cleaning machines. 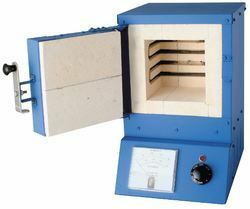 Hot Air Oven offered comprise inner chambers that are made in stainless steel finish with outer structure made using mild steel in power coated finish so as to provide for longer service life standards. These hot air ovens also feature gaps between walls that come fitted with glass wool insulation so as to ensure avoiding heat loses in given applications. Further, the heating elements are constructed using high grade chrome plated micro-me wire with temperature controlled through thermostat usage. Size in inches No.of shelves Cap in LTR Rating K.W. Muffle furnaces are suitable for high temperature Upton decided to fulfill the demands of research institutions, industries and red centers. Constructions: the outer casing is made of thick mild steel finished with epoxy based powder coated paint. Heating elements are made of high temperature wire surrounding the heating chamber, assuring the most uniform distribution of heat and protects the heating elements against damage and chemical deterioration. Highly efficient light weight and insulation is cast permanently into the furnace body. All furnaces are equipped with a dependable digital paid controller with contractor for smooth and efficient working. Thermal fuse, lead wire and plug to work on 220 / 230 v AC are also provided. Low Noise Ultrasonic Machines consist of two major components, a transducer and a sonotrode. The sonotrode is usually made of low carbon steel. The transducer converts electrical energy into mechanical vibrations, the transducer then vibrates the sonotrode at low amplitudes and high frequencies. This one has a noise level less than to 70 dl. 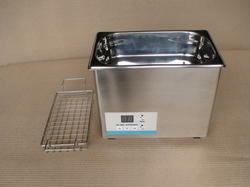 Ultrasonic Bath : ------- Watts. In Put Voltage : 230V AC. * Available in inbuilt or Separate Generator model. * Cleans Jewellery thoroughly within minutes. * Option of hot or room temperature cleaning. * Available in 1.5/ 4 / 4.5 / 7 / 9 / 12 / 18 / 35 / 45 / 100 / 150 / 225 Ltrs. Capacity. We manufacture various types of Ultrasonic Laboratory Cleaner for laboratory applications such as degassing, glassware cleaning. 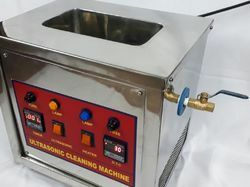 Ultrasonic Laboratory Cleaner helps in removing grease, dust and other contaminants from the surfaces and cavities of small objects, parts and samples such a corvettes, lenses, stainless steel instruments, glassware, metals. Measuring the level of Total Dissolved Solids in water can be beneficial for a variety of reasons. The presence of dissolved solids in water doesn't necessarily mean it is unsafe to drink, but may indicate the need for further treatment depending on what the water will be used for. 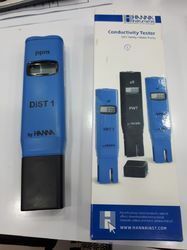 TDS meters are used in commercial filtration systems in order to test efficiency, they are used in Hydroponic systems to test salt levels in the water, and they can be used to test for contamination in home purifying systems. A highly stable Lab jack made from Stainless Steel 304grade/ ms material. 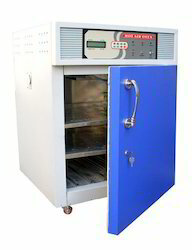 Supported by well-informed experts, we are providing an extensive range of Vacuum Oven. 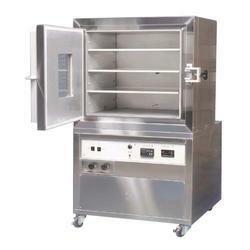 Our offered product is available in diverse specifications to match with the customers' demand.